U.S. Senators Schumer and Sanders say repurchasing shares starves companies of investment and should be limited. Goldman Sachs ex-CEO Lloyd Blankfein suggests otherwise. The downsides of buybacks are different – as are the more lasting ways to achieve what the politicians want. 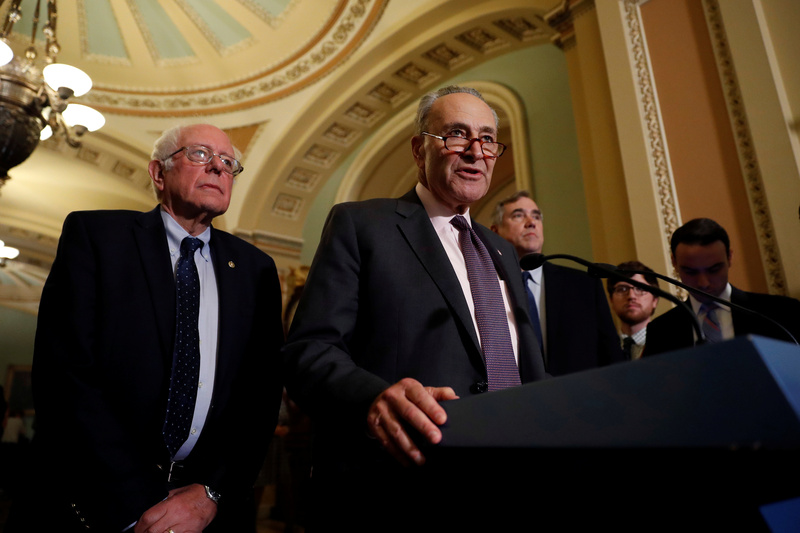 Senate Minority Leader Chuck Schumer, accompanied by Sen. Bernie Sanders (I-VT) and Sen. Jeff Merkley (D-OR), speaks with reporters following the party luncheons on Capitol Hill in Washington, U.S., October 3, 2017. U.S. Democratic Senators Chuck Schumer and Bernie Sanders on Feb. 3 said they would introduce legislation banning a company from buying back stock “unless it invests in workers and communities first.” In a New York Times op-ed, they said buybacks were a manifestation of a focus on shareholder value at the expense of workers and the long-term strength of companies.